The Hotel Paradise Park sits in lush gardens on a hilltop overlooking Los Cristianos. This 4 star hotel combines an abundance of relaxing facilities for adults, with plenty to keep the children entertained. The pool scene is the star attraction. There is the main pool with sunbed filled terraces and a separate area for the children to splash around. Adults have the choice of a quiet pool set in the rocks and another oasis of calm on the rooftop. The indoor pool, complete with Jacuzzi and water massage beds, completes the picture. Or, if you want to feel the sand between your toes, why not hop on the free shuttle down to Playa Las Vistas beach? Step indoors and discover an indulgent spa and wellness centre with treats to invigorate the mind and body. Activity fans have a long list of onsite sports to enjoy and a fully equipped fitness centre for a workout. The children get a look in too, with a fun filled mini club and animation programme. The onsite eateries take care of your food and drink needs. The main restaurant is a buffet style affair with tasty choices for breakfast and dinner. Lunch is served poolside with BBQ treats and buffets on the menu. Light bites and hot and cold beverages are available from the pool bars throughout the daytime. Or go down the a la carte route and dine in the wellness centre. The line up of evening fun brings everything from live music and shows, to fun and games for all the family. 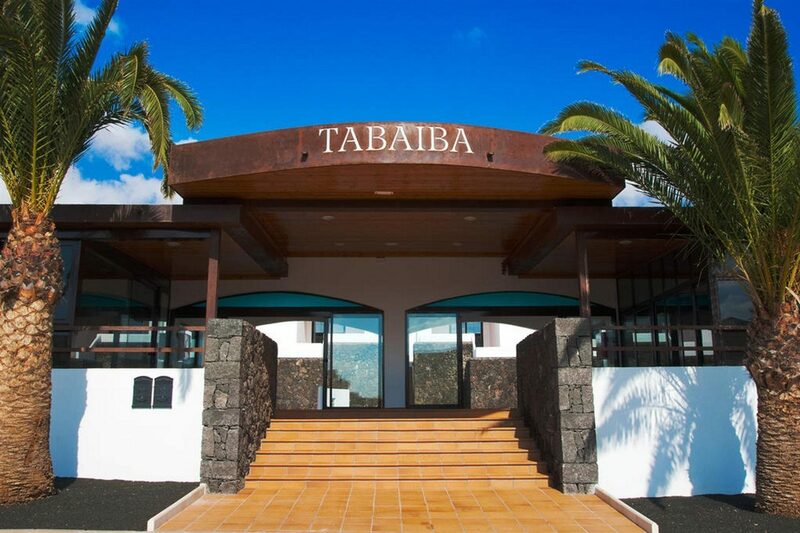 Discover why the Hotel Paradise Park is a popular place to stay for spa holidays in Tenerife. 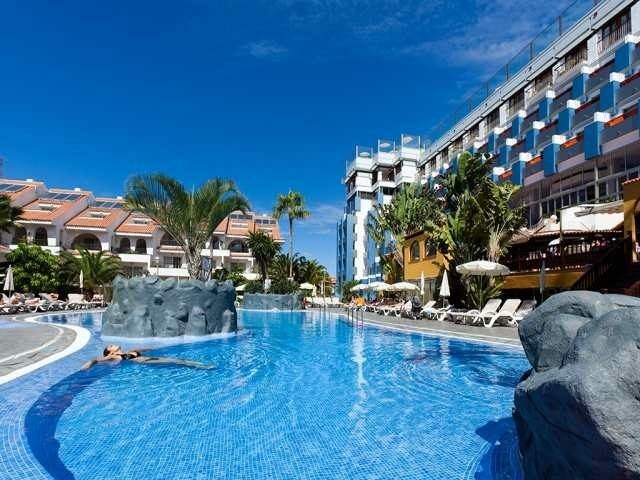 The Hotel Paradise Park has all the facilities you would expect from 4 star Tenerife holidays. Highlights include: The Atlantic outdoor pool, the adults only outdoor natural pool, outdoor adults only solarium pool with two Jacuzzis and two massage showers, Atlantida outdoor pool with spa pools, Jacuzzi and water massage sunbeds, kids pool, extensive gardens, three pool bars, buffet restaurant, a la carte restaurant, terrace restaurant, two bars, gymnasium, 24 hour reception, daytime animation programme, mini club, table tennis, billiards, beautician, hairdresser, WiFi internet corner, card area and free minibus service to Los Cristianos and Playa de las Vistas. The spa and wellness centre has five treatment rooms, hydrotherapy area with Jacuzzi, sauna, Roman baths, cold water well, thermal shower, Scottish shower and relaxation area. The hotel has a total of 376 modern guest rooms, consisting of classic, superior, premium salon, premium family rooms; and premium junior, executive, colonial, junior classic and family classic suites. 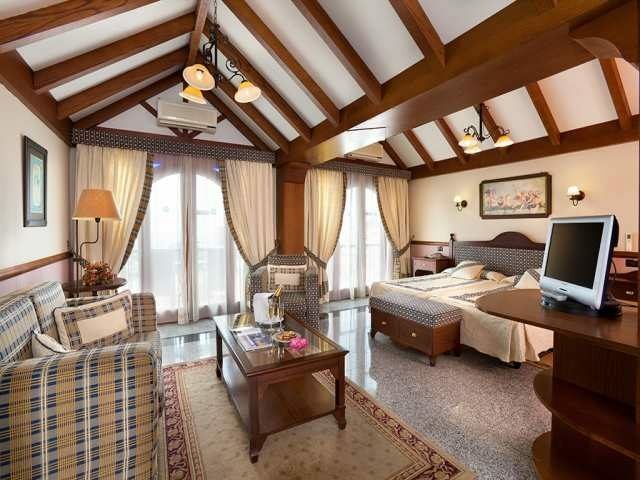 All classic rooms feature twin beds, individually controlled air conditioning, satellite TV, direct dial telephone, bathroom with walkin shower and hairdryer, wooden floors and balcony with a mountain view. The main restaurant serves buffet style meals for breakfast and dinner. The informal Strelitzia Restaurant serves a lunch time BBQ buffet. The Atlanta Restaurant is housed in the Atlantida Wellness Centre and serves a menu of a la carte dishes. The three pool bars offer snacks and hot and cold beverages during the day. Evening entertainment includes fun, games and shows for all the family. The Yaiza Disco is open late for dancing.